Neutral Hair Colour Guide - Which Colour Suits You The Best? The color of our hair is something we are born with. But it does change over time due to several reasons like lifestyle and pollution. Not everyone feels satisfied with their natural hair color. Many turn to dyes to get a different look, while others use hair dyes to cover their grey strands. Hair colour is often grouped into ‘warm’ or ‘cool’ tones. ‘Warm’ refers to shades with a yellow undertone while ‘cool’ refers to anything with a blue undertone. But there is another color – neutral, which is a combination of both warm and cool colours. What are Neutral Hair Colours? Neutral colour does not have any particular tone but can be compared to the colour of the sand at a beach. Ahh, what a poetic description of hair color! The problem with neutral color is that it does not show up in one application, and needs at least a couple of applications to really shine through. When applying a neutral colour, one should always ask the hairstylist to touch up with a colour gloss in between applications as it will keep away unwanted tones. Neutral colour can also be compared to ashe colour. The only difference being that ashe is darker than neutral tone. If one wants to get the perfect neutral tone, then one should get the ashe colour done and after that, shampoo at least two to three times, so that the ashe colour slowly fades away and makes way for the perfect neutral colour. The only problem with this is that nobody wants to shampoo a couple of times and achieve the perfect colour. What everyone looks forward to is to walk out of the salon with a head full of perfectly colored hair. But that’s asking for way too much from the stylist. We need to put in some effort if we want our hair to look good. It is also important to condition the hair on a regular basis when applying neutral hair colour. Neutral colour starts getting dull with repeated washing; therefore to bring back the gloss and shine one must condition the hair. The advantage of a neutral colour is that it compliments almost all skin tones – fair, medium or dark. The only point one should consider before applying neutral colour is that whether it enhances or flatters one’s looks. Neutral hair colors suit both warm and cool skin tones. 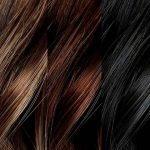 Hair colours such as black, light and dark shades of brown can be termed as neutral colours as they pair up nicely with all skin tones. People with a cool skin tone should always opt for a neutral shade as they are already fair and have a tint of pink on their skins. Fair-skinned people should avoid red or golden blonde but rather stick to ash or other neutral tones. If one does not want to experiment too much but rather wants their hair to be of one colour from roots to the tips, then one should consider a neutral colour. To achieve a neutral or an ashy colour, one should first go to a professional and remove all traces of previously applied color from their hair. But if one is dyeing the hair on their own, then one should always buy a dye with the word ‘ash’ or ‘neutral’ in the colour name. Generally, white, black, and brown shades are considered neutral in terms of hair colour. However, brown is the true neutral colour when it comes to hair. Neutrals from black to the palest blonde, looks great on most people. Neutral hair color shades is usually a mix of equal parts of all three primary colours. These colors are generally used for covering white or grey hair as it ensures coverage and clear tones. But if you are looking for a drastic hair makeover, neutral shades will definitely not work! For that, you’ll have to try more radical shades like blonde and copper. Good Makeup has the ability to enhance one’s features, conceal imperfections or flaws, and complement one’s skin tone! For great makeup however, one should not just blindly follow colour trends but instead pick makeup and colours that are in perfect harmony with your hair. Lipstick is the first thing that comes to our minds when we think of makeup. Lipstick is a great way to pump up and doll up those luscious lips.